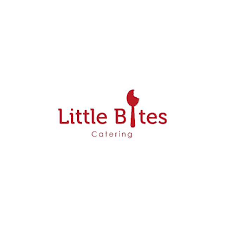 Little Bites has been serving private school lunches for the past 7 years and we count it a privilege to be serving your campus this year. Our online ordering is simple to do and once your child is in our system, it is a quick and efficient way to manage your lunch account. Our menu is available for a month at a time but you can order anytime up to 8am the day of lunch. You may also cancel a lunch up until 8 am if your child is ill, has a doctor's appt, etc. by just logging into your acct. We cannot cancel for you. To receive credits, you must cancel. School closure, inclement weather, field trips etc. are still the responsibility of the parent. The cost for a hot lunch or al a carte lunch is $5.50. This will include an entrée, vegetable, starch, fruit, and dessert. We do not guarantee a peanut free/allergen environment. We do our best to prevent cross contamination but we want you to know that items that we order may have been processed in a plant that handles peanuts etc. and because we buy items in bulk, the packaging may not be labeled as such. New customers are on the right side of the screen. *Fill in all fields, then create a password. *After clicking register it should return you back to the main page. On the left side, you will log in as a returning customer with the information that you just created. *Click login and a new page will appear. In the blue bar click add student and fill in all fields. Then click add student, it will return to your account. You should see your child’s name in white. Click the name and the menu will appear, choose what you would like by day, week or month. Click add to cart then click proceed to check-out, review your order, click finalize order, choose your payment option. We do not store the information on this screen due to safety reasons. We can recommend you use google chrome or any other browser that saves this information or uses autofill option. After all fields are completed, click submit order. You will be asked to confirm your order. Congratulations you just made your first order. You will receive an email receipt for your order.